My entry for this weeks I heart faces theme of ‘pets’. awe yeah boxers! we have 2! his underbite is just like my nephew boxer, Buckley! I love the brindle too! the one tooth out dog – love it! Too funny – my boxer does this too! Am I ever a sucker for a “stick ’em up” nose and an underbite! 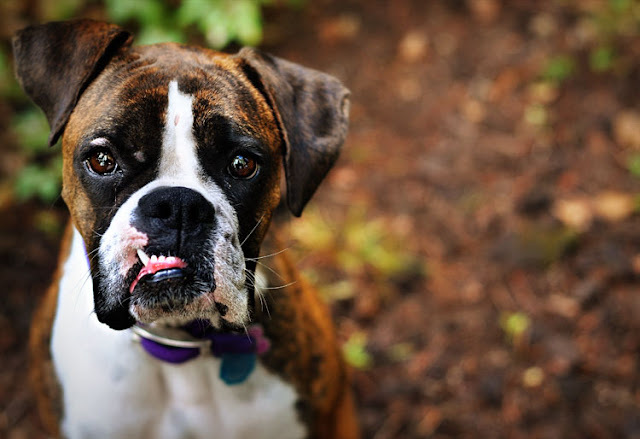 What a beautiful boxer! Awww! I love when their lip gets caught in their teeth! I also LOVE Boxers! We have one and I actually posted a photo of her today! Aaawww….love his little crooked smile! This photo is shot perfectly…beautiful!